“Bubbling with pride and excitement.” This probably best describes the feeling we get at RS Sailing when people talk about anything RS Aero related. With all systems go since 2014, the RS Aero exploded into the market with a mission to take on the hotly contested single handed dinghy realm. Fuelled by a belief that our sport deserves racing classes that can be accessed by a wide range of participants in future proofed communities, we knew the RS Aero could be the answer. Pride – This is upon reflection of the RS Aero’s journey so far, with thousands around the world, driven by outstanding class associations with incredible events, we’re proud of the impact this dinghy has had on so many sailors. After seeing 208 boats at the World Championships in 2018, the RS Aero has proven to be an accessible, versatile and cost-effective competitor to both new and quinquagenarian boats on the market. Excitement – As we look ahead into the approaching 2019 season and beyond, it’s exciting to see the diversifying participation, enhanced global reach and the sheer joy the RS Aero will bring so many people in our sport. From the aspiring champions in the youth ranks, to the recreational retirees, the RS Aero provides an excitingly inclusive opportunity for so many in our sport. One small step for sailing, one giant leap for AEROnautics! From the careful design development, which not only makes the boat user friendly, but also minimizes carbon footprint (through easy stacking design), RS Sailing have taken years to create this best-selling modern single-hander. The boat provides an exciting challenge in the intricate adjustments that can be made for the seasoned sailor. However, it also provides such simplistic access to newbies, you won’t have to be a rocket scientist to get feel the wonderful thrill the RS Aero provides. With a modern, sustainable and intricately developed design, the RS Aero is a 21st century approach to our sport of centuries old. With an award-winning range of boats across different disciplines of our sport, RS Sailing maintain the drive and focus to see the RS Aero become an essential single hander for every sailing club, training program and development pathway. What’s happening in the world of the RS Aero? A total of 26 boats attended the Florida state championships as part of the US Winter Series. An impressive weekend of racing with some brilliant video footage to accompany the race report from Bob Patterson. Click here for the full report. To wrap up 2019 and start 2020 in style, the 3rd RS Aero World Championships will be hosted at Black Rock Yacht Club, Melbourne, AUSTRALIA! We’re certainly excited to be embarking on this mission. Planning is well under way and we will be delighted to see so many of you there. These events only happen because of the fantastic training programmes and local clubs all over the globe, introducing new people to our sport and the RS Aero. The RS Aero family is growing and there is plenty more room for any new budding RS Aero sailors to come and get involved. Find out how by getting in touch with the wonderful folks at the class association. A growing number of sailors across our community now champion the capabilities of this vessel for its many qualities. 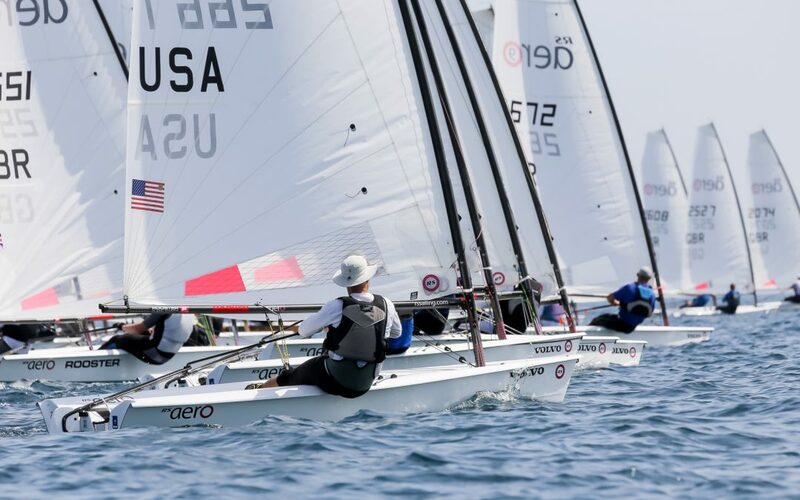 This has been acknowledged in the most flattering manner by World Sailing, as the RS Aero is under evaluation for selection as the Olympic single-handed dinghy for the Paris 2024 games.